Last week, the 1.4 Awards Showcase and party took place on Wednesday, November 21st at The Oval Space in London. “1.4’s criteria for brilliant filmmaking is for those pieces that hit you on a deep intuitive, visceral level both in emotional and filmic language,” said our friend Lyndy Stout, 1.4 curator and editor. “This is the message we gave to the 46 jury members – the 1.4 Board of Good Taste – made up of music video, editorial and TV commissioners, agency creatives and heads of TV. “Those pieces chosen to be screened at the 1.4 Awards Party are entirely based on merit, not consciously selected for gender or diversity. Interestingly, almost half of the directors in the On the Cusp of Greatness showcase, which focuses more on emerging talent, are females, while men still dominate the Flying High Established showcase. “It feels that we’ve gone through a seismic shift in our cultural consciousness since our last awards. “When I despair about the political mayhem that’s going on, it’s so reassuring to look to the positive shifts in identity and perspectives which are being so eloquently expressed in these showcases; not only in their messages and filmic craft, but also by who is now directing them,” Lyndy said. The Flying High Established Gold medal went to Kim Gehrig, who consistently wins everyone’s hearts and minds with her brilliant techniques and thought-out processes. She’s an exceptional technical master in whatever she creates, and although medals are awarded to directors for their body of work, her music video for Chaka Khan‘s “Like Sugar,” sums up what Kim is really good at: making mindboggling fun. On the Cusp of Greatness Silver medals went to Jessy Moussallem for her beautifully crafted, outspoken work for the liberation of Arabic women; and Matilda Finn, for being the Queen of Being Unique in everything she creates. 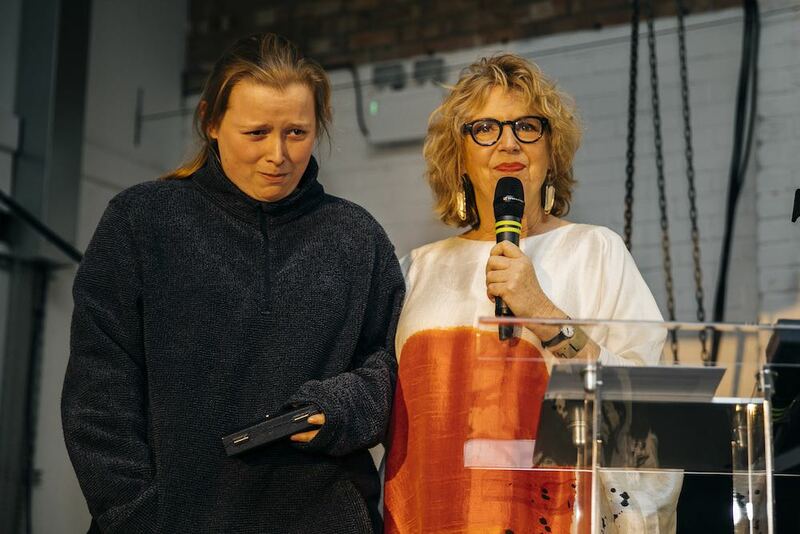 The On the Cusp Gold went to 22 year old Knucklehead director Charlotte Regan, for her astounding intelligent and crafted work; whether it’s music videos, short films or commercials. Congratulations to all those included within the showcase – here’s looking forward to women breaking through even further in 2019!